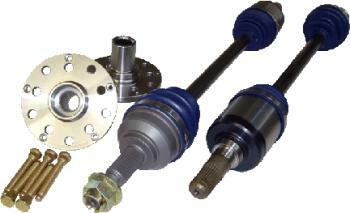 The Driveshaft Shop Level 5 Axle Systems have become a standard in the industry for drag racing excellence. This Axle/Hub System have brought more drivers and company’s recognition for being able to stand the test of time with their sturdy quality and brute strength. When you’re racing for the win, this system is for you.